Frank Cotton's insatiable appetite for the dark pleasures of pain led him to the puzzle of Lemarchand's box, and from there, to a death only a sick-minded soul could invent. 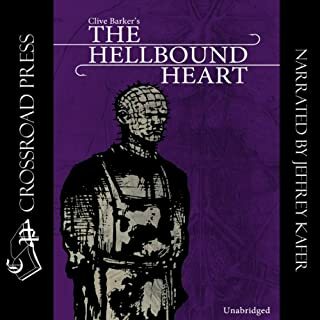 But his brother's love-crazed wife, Julia, has discovered a way to bring Frank back - though the price will be bloody and terrible...and there will certainly be hell to pay. Narration was brought from hell! For decades, people have asked the question: Where in the world is Carmen Sandiego? But just who is this infamous and elusive globe-trotting criminal? A skilled thief on a mysterious mission, Carmen Sandiego is endlessly pursued by ACME and Interpol. But the woman in the red fedora is always one step ahead. 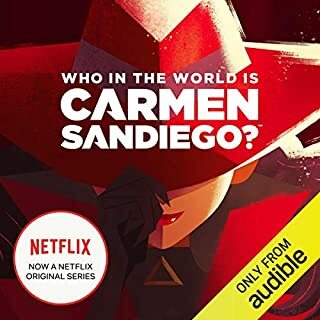 In this novelization, based on the Netflix animated series, Carmen shares her own backstory for the first time ever. Enjoyable Listen. World Building For A New Game? Korede is bitter. How could she not be? 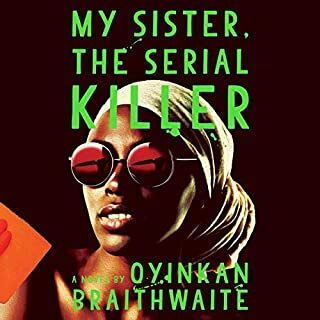 Her sister, Ayoola, is many things: the favorite child, the beautiful one, possibly sociopathic. And now Ayoola's third boyfriend in a row is dead. Korede's practicality is the sisters' saving grace. She knows the best solutions for cleaning blood, the trunk of her car is big enough for a body, and she keeps Ayoola from posting pictures of her dinner to Instagram when she should be mourning her "missing" boyfriend. A unique and enjoyable listen! Joe Biden is fresh out of the Obama White House and feeling adrift when his favorite railroad conductor dies in a suspicious accident. To unravel the mystery, "Amtrak Joe" re-teams with the only man he's ever fully trusted - Obama. Together they'll plumb the darkest corners of Delaware, traveling from cheap motels to biker bars and beyond, as they uncover the sinister forces advancing America's opioid epidemic. 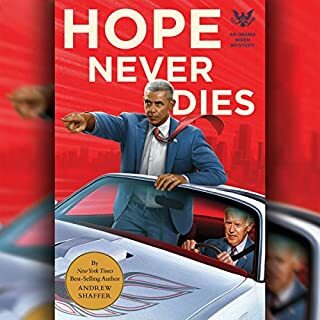 Hope Never Dies is essentially the first published work of Obama/Biden fan fiction - and a cathartic listen for anyone distressed by the current state of affairs. Yes, you will smile, laugh, cry, cheer, & applaud! Eleven years of Parker Stevens' life have gone by in the mental institution due to the murders he’d committed when he was 15. He is finally released and meets her. She awakens a power within his very being. Luna is trapped. She lives with the man who kidnapped her as a child and subsequently raised her. Now, she’s his lover, a role she is forced to portray and to accept. However, it doesn’t stop her from hating his guts. 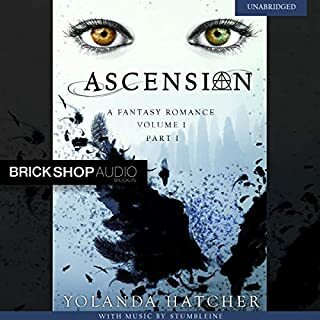 She remains because she is indebted; but then she meets Parker, the man’s nephew, and starts to want something...for herself...for once. 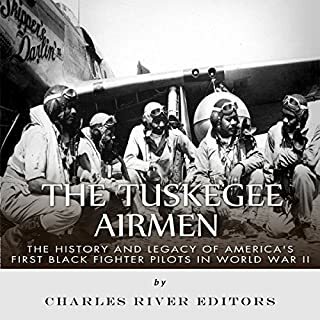 The United States has no shortage of famous military units, from the Civil War's Iron Brigade to the 101st Airborne, but one would be hard pressed to find one that had to go through as many hardships off the field as the Tuskegee Airmen, a group of African American fighter pilots who overcame Jim Crow at home and official segregation in the military to serve their country in the final years of World War II. From the New York Times best-selling author of The Life-Changing Magic of Not Giving a F*ck and Get Your Sh*t Together comes more straight talk about how to stand up for who you are and what you really want, need, and deserve - showing when it's okay to be selfish, why it's pointless to be perfect, and how to be "difficult". Being yourself should be easy, yet too many of us struggle to live on other people's terms instead of our own. Rather than feeling large and in charge, we feel little and belittled. 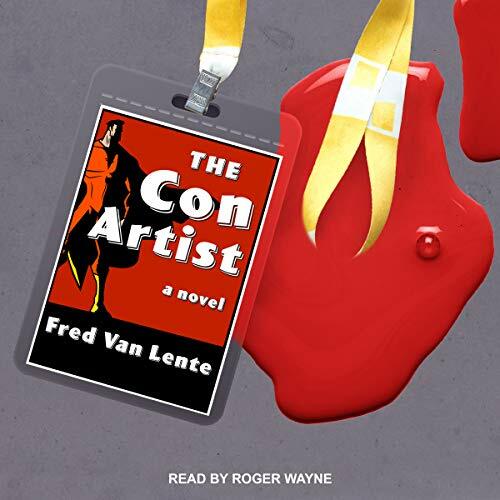 Fred Van Lente's brilliant debut is both an homage to the Golden Age of Mystery and a thoroughly contemporary show-business satire. As the story opens, nine comedians of various acclaim are summoned to the island retreat of legendary Hollywood funnyman Dustin Walker. The group includes a former late-night TV host, a washed-up improv instructor, a ridiculously wealthy "blue collar" comic, and a past-her-prime Vegas icon. Mary Jekyll, alone and penniless following her parents' deaths, is curious about the secrets of her father's mysterious past. One clue in particular hints that Edward Hyde, her father's former friend and a murderer, may be nearby, and there is a reward for information leading to his capture...a reward that would solve all of her immediate financial woes. But her hunt leads her to Hyde's daughter, Diana, a feral child left to be raised by nuns. From the mean streets of Depression-era New York City to recipient of the National Medal of Arts, Lee's life has been almost as remarkable as the thrilling adventures he spun for decades. From millions of comic books fans of the 1960s through billions of moviegoers around the globe, Stan Lee has touched more people than almost any person in the history of popular culture. In Stan Lee: The Man behind Marvel, Bob Batchelor offers an eye-opening look at this iconic visionary, a man who created (with talented artists) many of history's most legendary characters. No more wondering why God has yet to send you the man you desire. God Where is My Boaz is a woman's guide to understanding what is hindering her from receiving the love and relationship she deserves. It is a straight forward and easy to listen to audiobook that will help women with spiritual growth, overcoming obstacles, and truly embracing love. This isn't tips and tricks on how to get a man. This audiobook will assist you in taking a deeper look within and help you prepare and position yourself for the love you deserve. Academy Award nominee Samuel L. Jackson ( Pulp Fiction, Star Wars films), fresh off the success of his uproarious, Audie-nominated performance of the mock children’s book Go the F**k to Sleep, delivers a swaggering, darkly-humored rendering of Chester Himes’ classic first novel. For anyone who has ever had trouble staying motivated while trailblazing toward badassery, You Are a Badass Every Day is the companion to keep you fresh, grateful, mighty, and driven. In 100 exercises, reflections, and cues that you can use to immediately realign your mind and keep your focus unwavering, this audio guide will show you how to keep the breakthroughs catalyzed by Sincero’s iconic books You Are a Badass and You Are a Badass at Making Money going. I absolutely love Jen S! THIS is NOT a book! In the years between World War II and the emergence of television as a mass medium, American popular culture as we know it was first created in the bold, pulpy pages of comic books. The Ten-Cent Plague explores this cultural emergence and its fierce backlash while challenging common notions of the divide between "high" and "low" art. This is the story of 11-year-old Mark Sway, who witnessed the bizarre suicide of a New Orleans attorney. Just before he dies, the lawyer tells Mark a deadly secret. The police, the federal prosecutor, and the FBI pressure Mark to tell them the attorney's last words, but Mark knows that with the mob watching his every move, revealing his secret will almost surely get him killed. Academy Award nominee Samuel L. Jackson ( Pulp Fiction) rocks this mock bedtime story, capturing a hilarious range of emotions as the voice of a father struggling to get his child to sleep. Go the F**k to Sleep is a bedtime book for parents who live in the real world, where a few snoozing kitties and cutesy rhymes don’t always send a toddler sailing blissfully off to dreamland. Celebrating the 75 anniversary of the original landmark bestseller How to Win Friends and Influence People, comes an up-to-the-minute adaptation of Carnegie’s timeless prescriptions for the digital age. Dale Carnegie’s principles have endured for nearly a century. Since its original publication in 1936, his timeless classic How to Win Friends and Influence People has gone on to sell 15 million copies. Now, introducing new listeners to Carnegie’s words of wisdom, comes How to Win Friends and Influence People in the Digital Age, a new guide for a new era. As titled, it brings the orig. to the digital age. This mystery will appeal to comic book fans and anyone who appreciates an unconventional whodunit. Comic book artist Mike Mason arrives at San Diego Comic-Con seeking sanctuary with other fans and creators - and maybe to reunite with his ex - but when his rival is found murdered, he becomes the prime suspect. To clear his name, Mike will have to navigate every corner of the con, from zombie obstacle courses and cosplay flash mobs to intrusive fans and obsessive collectors, in the process unraveling a dark secret behind one of the industry's most legendary creators.